The European Amateur Chess Championship 2016 will be held in Ruzomberok, a town in northern Slovakia, from June 5 (day of arrival) to June 12 (day of departure) 2016. 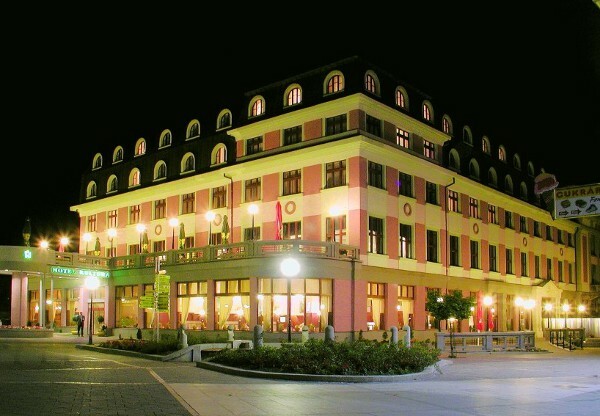 The tournament will be held in the „Sports hall Koniaren“, and the official accommodating hotel is Hotel Kultura *** . The Championship is open to all players representing Chess Federations, which comprise the European Chess Union (FIDE zones 1.1 to 1.10), who have no FIDE title and no FIDE rating above 2000 at the start of the tournament (5 June 2016), nor have had such a rating for at least two years prior to the start of the event (that is 5 June 2014 and on). There is no limit of the number of participants per federation. A separate championship for women shall be organized if there are at least 10 women entries for this championship. The tournament is played in a 9-round Swiss system, with the time control 90 minutes for 40 moves followed by 30 minutes for the rest of the game, with an increment of 30 seconds per move, starting from move one. The prize fund is 2 500 EUR. The Championship is organized by Chess Club Prievidza, Chess Club Ruzomberok and Ruzomberok City, under the auspices of the European Chess Union.